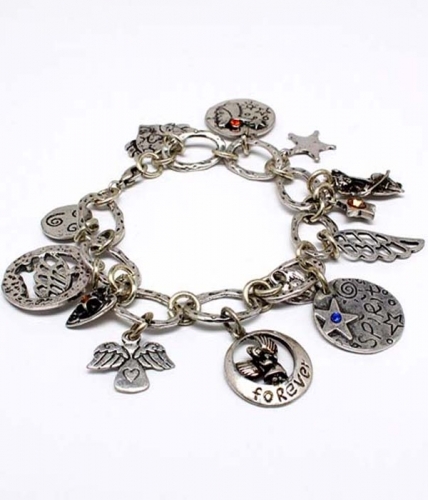 The charm bracelet is a forever and the Christy makes for the perfect example. Showcasing a hammered silver-plated disc chain dripping in an array of charms that will bring an eclectic madness to your casual look. If you love costume jewellery make Oz Bling your one stop online shop for all styles, fun, formal, chic or unique!